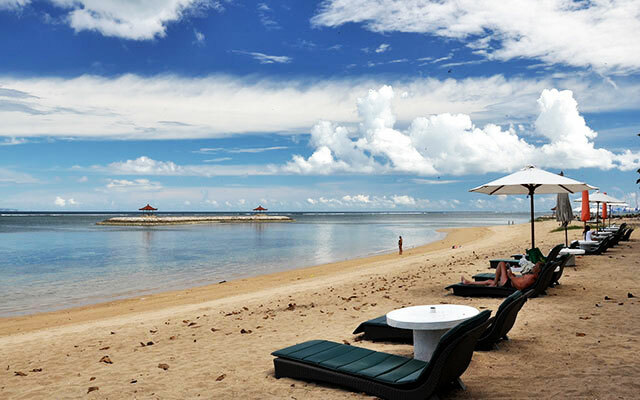 Sanur Beach is a beach and nature in Bali is one of the famous recreation areas on the island of Bali. The beach is located in the municipality of Denpasar, precisely located in the east of Denpasar, capital of Bali province. Sanur beach is often used for sports such as surfing or surfing at Kuta beach because it has waves are quite calm. There is a dive and travel snorkeling site is located not far from the beaches of Sanur. These dive sites can be used by anyone who has the ability to dive different because of the field conditions were friendly. 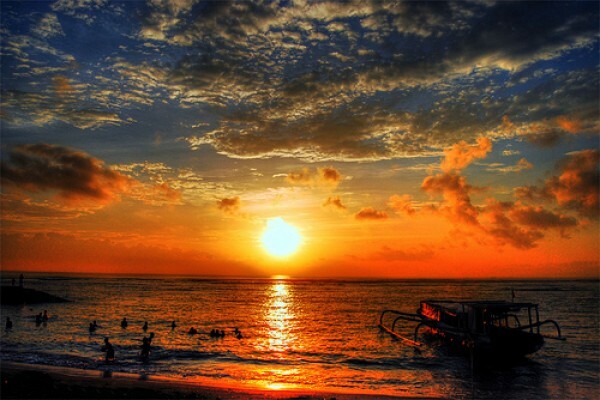 Sanur beach is also dubbed as the sunrise coast of Bali, opposite to Kuta beach. Sanur beach is often used as the right choice to watch the sunrise because of its location in the east of the island of Bali. Along the coast is the most suitable place to watch the sunrise. Because this time has built a kind of remainder consisting of small huts that can be used as a place to sit while waiting for the sunrise. In addition, the waves on the beach were fairly quiet so not dangerous if used as a recreation area for children. In the morning you can ask your child to sit at the seaside gazebo building while waiting for the sunrise. Even tourists can see the sunrise while swimming at the beach. Some areas in the coastal region have exotic white sand. Decorated by trees protector, tourists can sit and enjoy a meal of spring rolls and corn on the cob sold by street vendors. Some proponents of tours such as hotels, restaurants and small cafes and art shops have been provided along this coast. On the beach there is also the oldest hotel in Bali, namely Ina Grand Bali Beach hotel is located right on the waterfront. Not only that, along with the shoreline also built some sort of way to pedestrians who are usually used as a jogging path by foreign tourists and domestic tourists. The line was stretched towards the south began to pass Shindu beaches, coral beaches until Semawang. Therefore, visitors can exercise while enjoying the beautiful view of the beach in the morning. 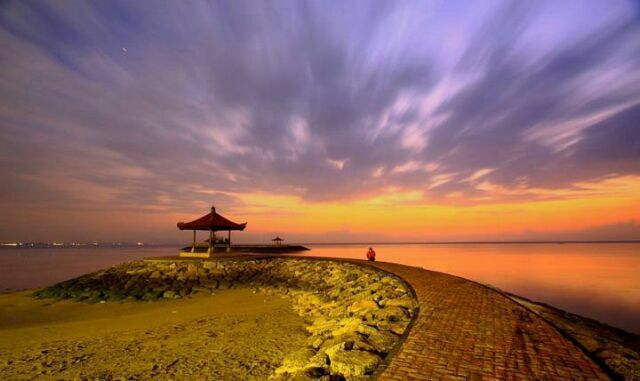 History Sanur Beach, the beach was introduced in 1937 by artists from countries Belgium, named A.J. Le Mayeur, this artist has a wife named Ni Polok Bali. How the introduction of an artist from Belgium abroad to create a painting on the beach and show off to foreign countries. Therefore, the beach in Sanur began to be known abroad. In Sanur Bali, there are many lodging facilities, either in the form of hotels, resorts, villas, and bungalows, so guests will have no trouble to get the accommodation facilities on this beach. In addition, the Sanur area there are a lot of art shop, money changer, mini market, bar, cafe, restaurant as supporting tourism facilities. 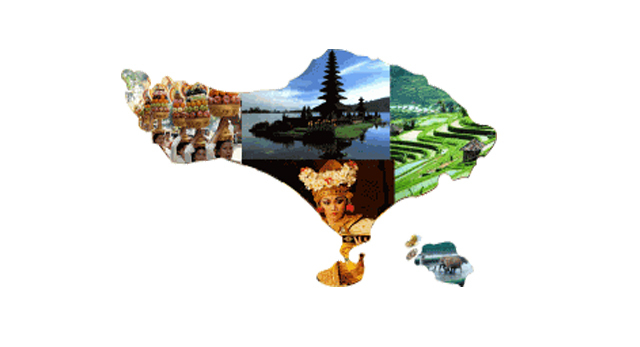 It can be said Sanur area is one of the pioneer tourist islands of Bali, and make tourism in Bali is famous until today.